The whole Nation debated on Sachin Tendulkar’s retirement coming as it did after 24 glorious years and 200 Tests………… incidentally at Perth – both the Captains Michael Clarke and Alastair Cook played their 100th tests (a rare coincidence) totaling 200 tests… so one tends to compare these two contemporary batsmen with the legend Sachin…. See the result at the end of the post. Almost 5 years ago at Chennai in Dec 2008 –England made 316 …. And restricted India to 241… in the 2nd declared at 311 for 9 … chasing a tall score India won rather comfortably making 387 for 4 …. Sehwag breezed with 83; Sachin remained unbeaten with 103 and with Yuvraj (85 no) forged a big partnership of unbeaten 163 as India eased to a win….. The cherished moment came with perfect symmetry as Tendulkar swept Graeme Swann to fine leg to reach the hundred and complete victory. 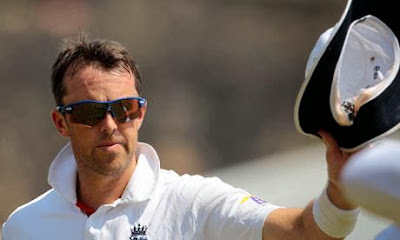 Yes… Swann made his debut had 2 for 42 and 2 for 102 in that test……..
Graeme Swann, the England offspinner, has retired from all international cricket and first-class cricket with immediate effect. Swann has fallen on his sword before the Boxing Day Test, saying his body is no longer capable of playing five full days. The announcement has shocked many on Sunday morning. In a strangely subdued press conference for a man who took most of his 255 Test wickets with his heart on his sleeve, Swann said he knew his time was up midway through the third Test in Perth , even before the Ashes were officially lost. He has retired midway which means, Swann, 34, will not play in the final two Tests of the Ashes tour and will finish his career with 255 wickets at 29.96 from his 60 Tests. However, on a disappointing tour of Australia in which England have gone down 3-0 after the first three Tests, Swann has been one of the senior players who has failed to have an impact and has managed only seven wickets at 80. "I came to Australia in the hope of winning our fourth Ashes series on the trot but that's now impossible," Swann, a regular columnist with the Sun, said in the paper. "So it's time for someone else to buckle in and enjoy the ride. Swann reportedly told his team-mates and coach Andy Flower of his decision at a practice session in Melbourne ahead of the Boxing Day Test, which starts on Thursday. He will leave the game as England's second-leading spinner behind Derek Underwood, who took 297 Test wickets. Used to seeing players hanging around past their prime, and players continuing after continuous losses in Overseas tours - this decision to retire in 5 years of cricket - comes as a surprise………. And interesting is the statement that he has not ruled out the possibility of playing in the IPL.